Want to protect your treasured Bonsai? Take the opportunity to invest in your pride & joy, use BON-TAG, a bespoke system specifically designed for Bonsai trees & pots providing protection for your Bonsai! 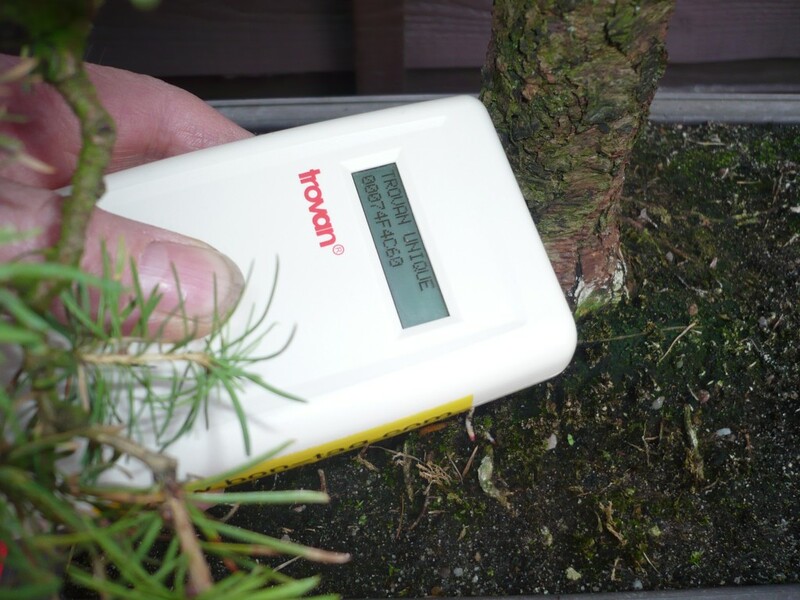 To tag a Bonsai tree you will require the dedicated kit, detailed instruction set, and a suitable portable drill. You can refer to the ‘tagging procedure images’ for visual aid and reference. Please read the more detailed instructions carefully before carrying out the installation procedure. The transponder tag is preloaded in a sterilised canula needle as the delivery method for tag injection. The tag is very small about the size of a grain of rice 11.5mm x 2.12mm and ideal for tree application. Remove contents from kit packaging and inspect. Safely dispose canula injection needle. Attach ‘Warning Decal label’ to bonsai pot. To Tag a Bonsai Pot you will require the dedicated kit, detailed instruction set. Please read the instructions carefully before carrying out the installation procedure. The Pot tag is a tablet size disc 12mm x 1.8mm in a hard resin format , it is ideal for pot applications and can be attached inside the pot with a suitable adhesive. Prepare location surface to attach transponder tag. Apply adhesive supplied to pot surface. Attach tag with adhesive & leave to cure fully. For more detailed instructions on either of the installation methods refer to the documentation supplied with each BON-TAG Bonsai Security Kit. 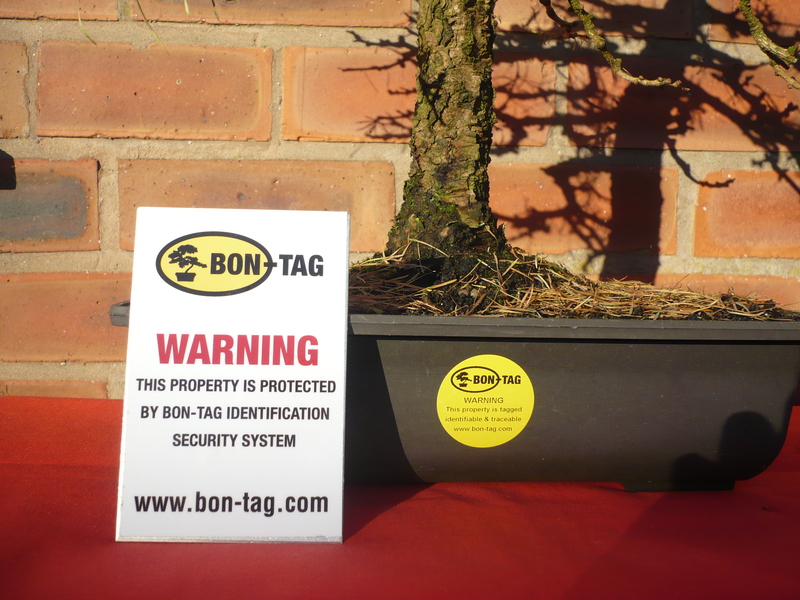 This product is solely intended for use in connection with the identification of Bonsai trees & pots, ‘BON-TAG’ does not accept responsibility for any damage, injury or demise of any item, livestock, animal or person, with the use of this or any other related products. What’s the point of a police force that doesn’t turn up to burglaries? Are your alarm sensors being blocked by Christmas decorations? Time for a door entry system? Radium Security Systems Ltd © Copyright 2016. All Rights Reserved.